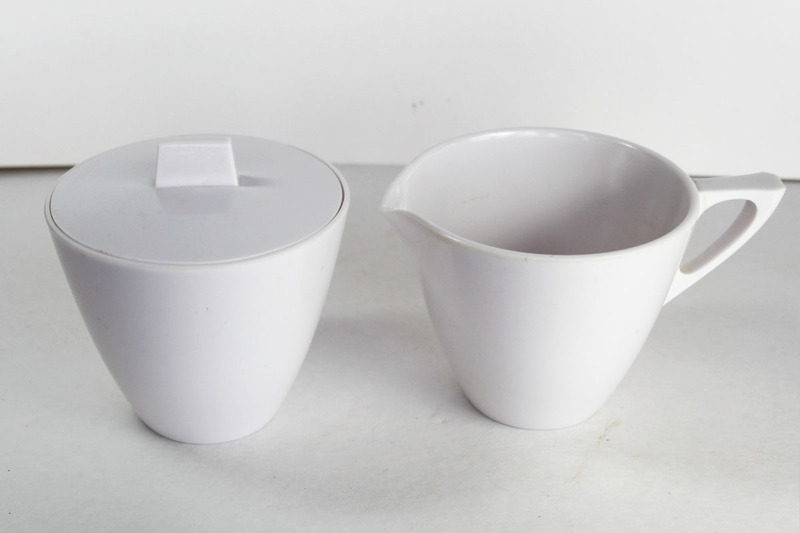 Recently I have added some tableware to my shop, specifically cups and sugar bowl and creamer sets that are melamine. As I was listing them, I wasn’t sure if the plastic for these products was called melmac or melamine. This is important because at Etsy we list keywords for which we think someone might search. I learned that melamine is the type of material used to make these dishes and melmac is the brand name. Since where I live every one seems to know it as melmac, I listed both keywords. Above is a cup from the Lenox Ware coffee cup set I listed. 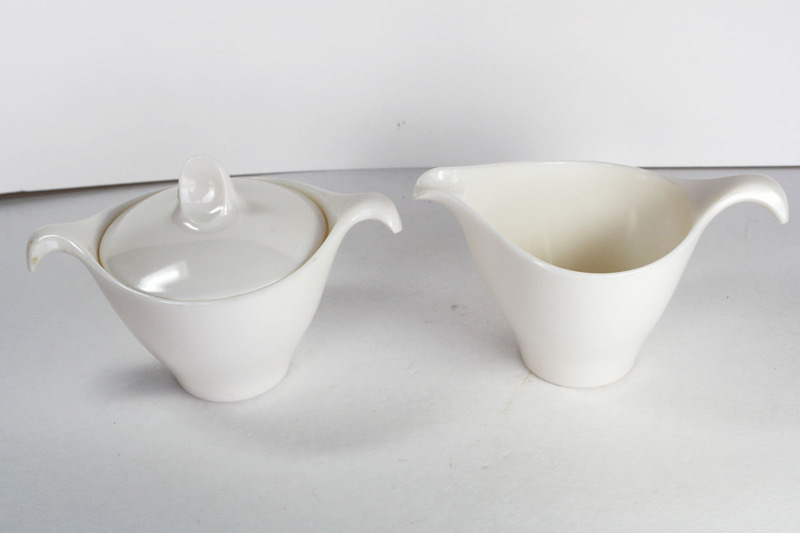 This sugar bowl and creamer is also a Lenox Ware set. Love the handles on these, but really the handles on all of these dishes are gorgeous. Look at the mod sugar and cream set here. The handle is sleep and angular. I also added Thermo Serv. 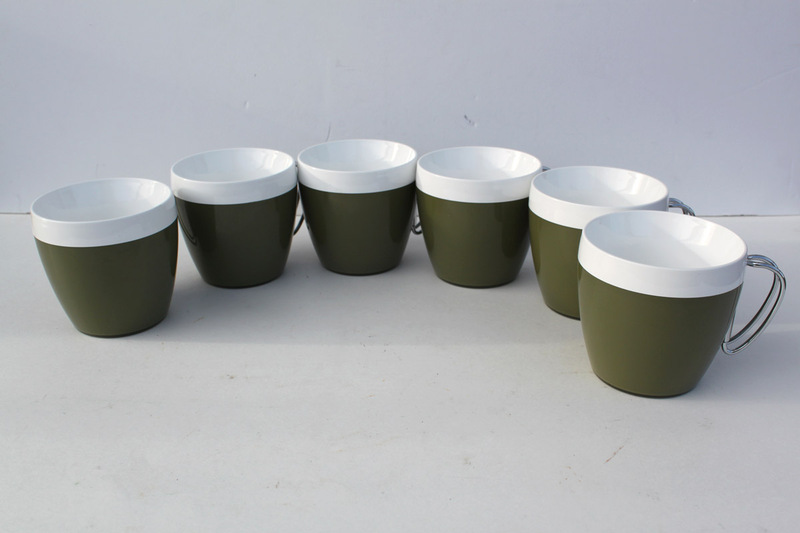 Look at this coffee cup set that is white with green base and silver removable handles. 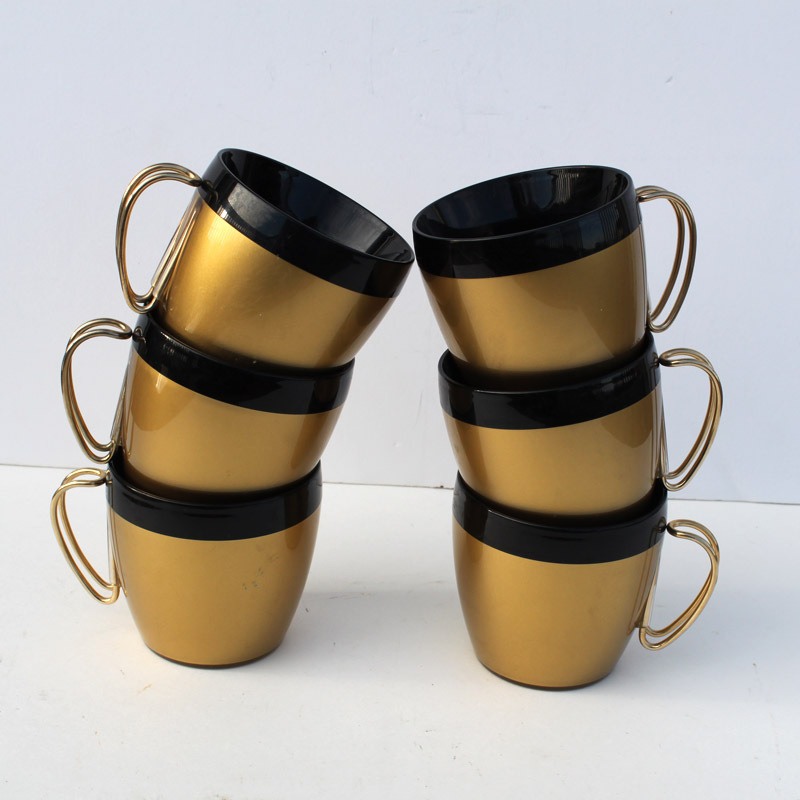 These Thermo Serve Gold and Black with Gold Removable Handles are retro late 60’s, early 70’s. The retro cups were usually 6-8 ounces. That was back before the TV show, Friends. Remember the gang sitting in the coffee shop drinking out of ginormous cups. It started a trend, and we all started drinking from large cups that hold 12-16 or more ounces. To me these have such awesome lines. 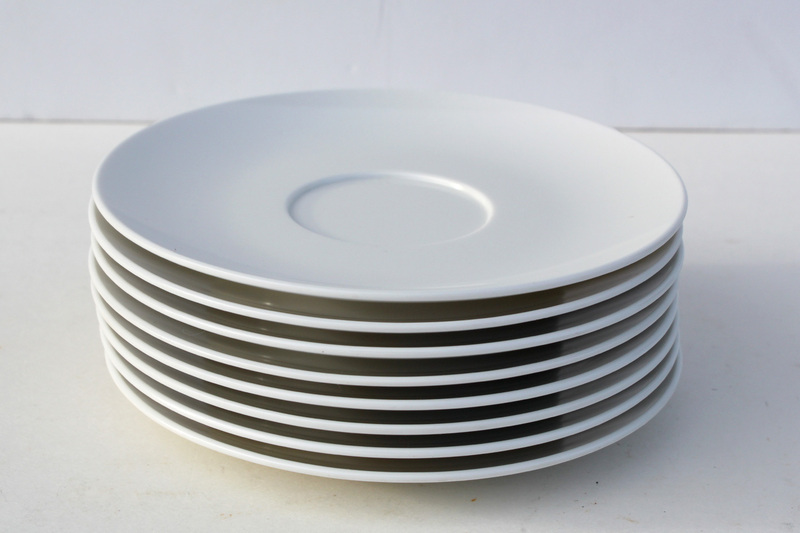 I am hopeful that there are people out there that want to go back to gorgeous lines in their dinnerware. I have more Melamine dishes to list. 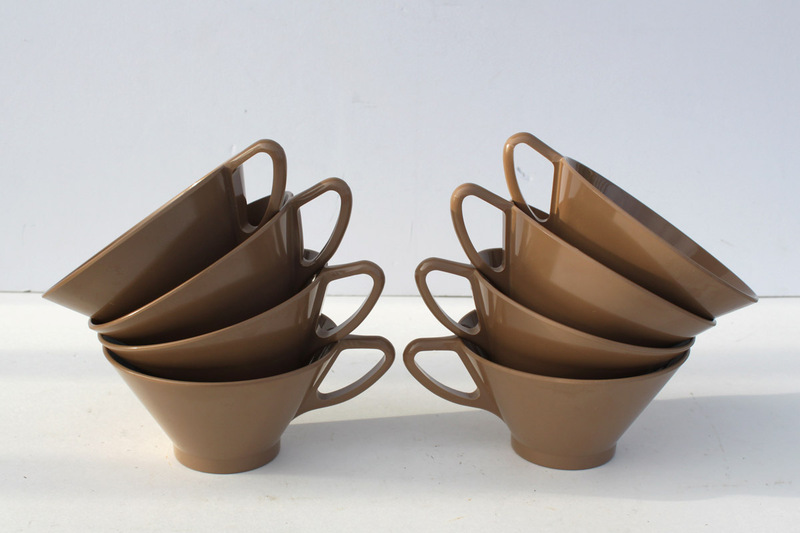 Like these brown coffee cups. 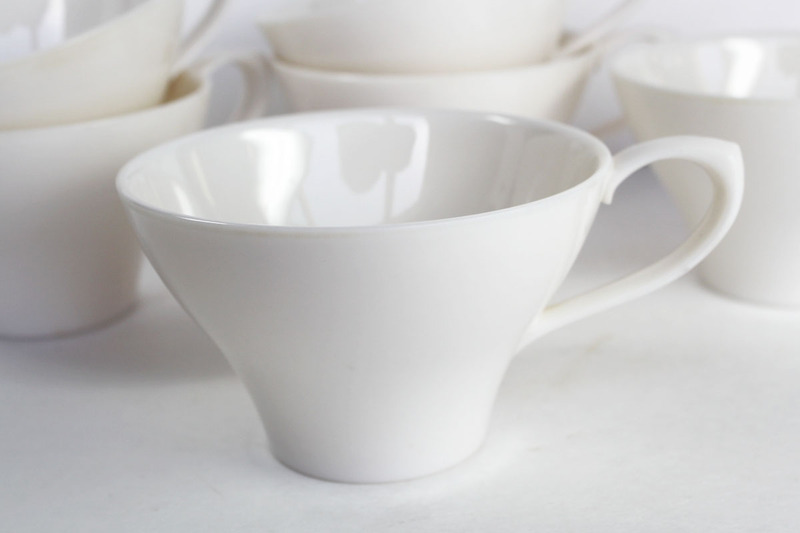 Or these saucers. My shop is a little slow right now. Just not putting the time into listing. The boys’ basketball and swimming seasons have about 4-5 weeks left. Then life will change again. However, I am enjoying the season and not looking forward to it being over. 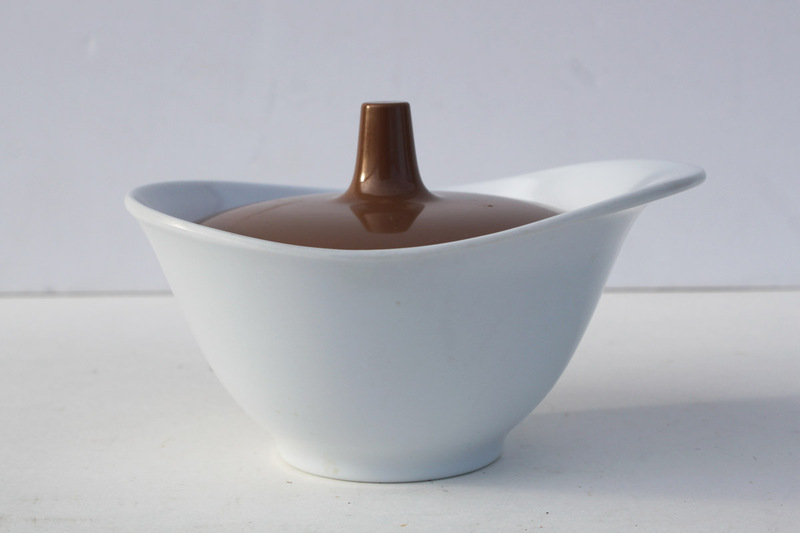 Do you remember melamine or melmac dishes, cups and other dinnerware? This entry was posted in It's Still Life Shop, Junkin' Pickin' Finds by Karen Grosz. Bookmark the permalink. My grandparents had the gold and black set of mugs and a matching thermos. Those bring back good memories! Love that it brings back memories of your Grandparents.